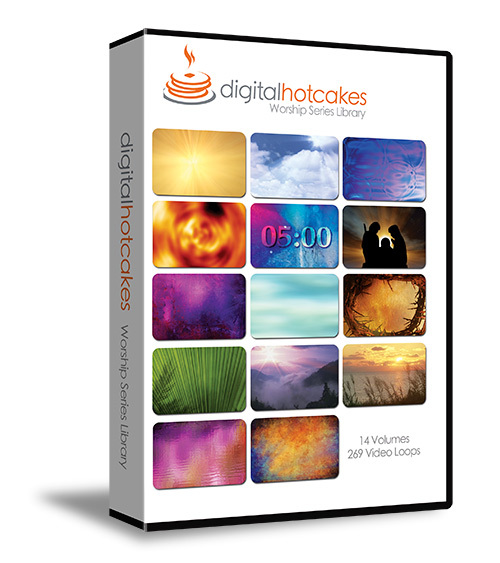 Available on two DVDs, this collection of 269 video clips is guaranteed compatible with virtually all worship presentation software. Just copy the files to your hard drive, and bring them into your favorite presentation software. That’s how easy it is to instantly enhance your worship services! 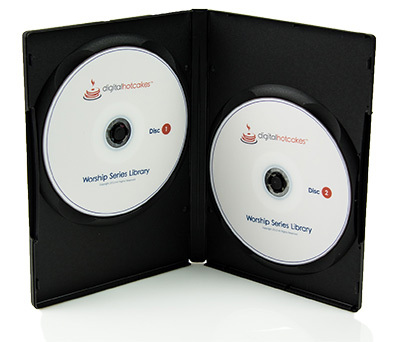 Imagine having immediate access to an entire library of video to enhance your Worship. From the glory of light to the grandeur of heavenly skies, from mesmerizing flowing water to delicate, soft blends, from Easter to Christmas, and all the holidays in between, from mountains majesty to shining seas, this huge collection will inspire and captivate your congregation. Vol 1 enLighten- 20 video loops to enhance your service with the glory of light. Vol 2 Looking Up - 20 heavenly motion clips to captivate your congregation. Vol 3 Fluid Moods -20 mesmerizing, easy flowing collection of fluid backgrounds to enhance your message. Vol 4 River of Fire - 20 fire animations when you must depict the symbol of fire. Vol 5 Countdowns - 13 countdown videos to build anticipation and captivate the start of your next worship service or youth rally. Vol 6 Holidays Fall/Winter - 20 motion backgrounds to give life to your next holiday service. Covering all the fall and winter holidays, this volume is indispensable. Vol 7 Sacred Rock - 20 powerful and gripping video backgrounds to inspire and move your congregation. Great for use behind scripture. Vol 8 SoftBlends - 20 soft, delicate motion loops, perfect for projecting behind song lyrics. Vol 9 Holidays Spring/Summer - 20 video loops to project the emotions of Easter. Mothers Day, Fathers Day, Memorial Day, and July 4th are also covered. Making this volume very handy. Vol 10 All Easter - 20 motion backgrounds to create a powerful Easter service. Vol 12 Shining Sea - 20 beautiful tranquil ocean and beach scenes, perfect for song lyrics. Vol 13 Garden Collection - Bring the inspirational beauty of a garden to your worship service. This unique volume includes not only motion loops but countdowns and longplays as well. Vol 14 SoftBlends II - Here’s 20 more soft, subtle loops perfect for song lyrics and scripture. These motion loops were specifically designed for white text.